15 years ago, Herc Johnson and his wife Evelyn responded to the Governor’s call to action for children. It was a call to open their home to the foster youth of Maryland. The Johnson’s welcomed a young woman and adopted her 3 years later. She joined their family of 6, that now includes 9 grandchildren! He has continued as a foster parent with KidsPeace offering his love and guidance as a father to a few of the 4,000 foster youth in this region that need a family. Herc, a CADD engineer and full time Pastor is fully committed to building families and helping youth realize their potential. He often counsels the youth in his community, encouraging them to work hard. He shares his expertise in math and science regularly with kids after-school and has been known to stay up half the night to help the foster youth in his care with homework. Herc learned about foster care first hand. His mother welcomed kids in to his childhood home for 30 years. It is a legacy he is deeply committed to– encouraging other families to open their hearts and homes to vulnerable foster youth, especially teenagers. He has given many youth the experience of having the loving support of a father. He has shown them that fathers are consistent, firm, supportive, and always loving. Herc believes that Family is #1—every child deserves a family. 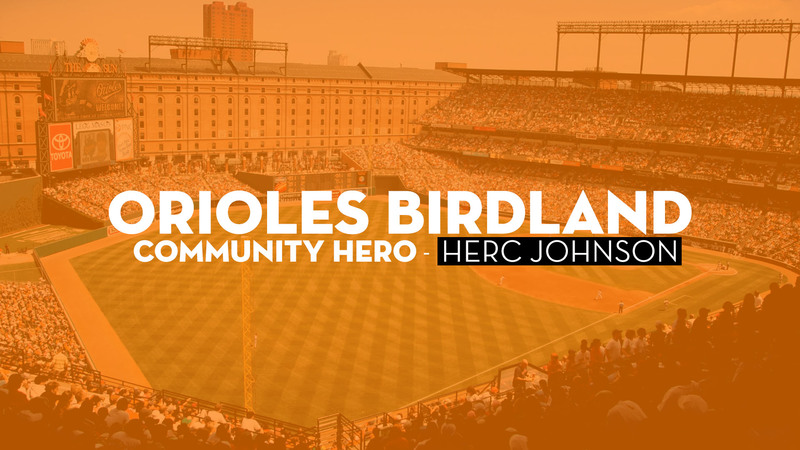 Herc was honored by the Baltimore Orioles on June 19th.